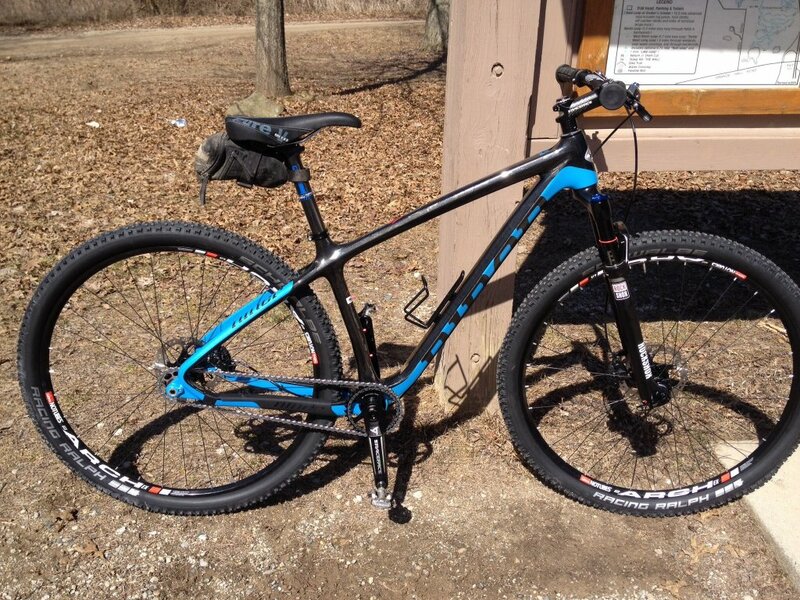 2015 Niner One 9 RDO - just got it. 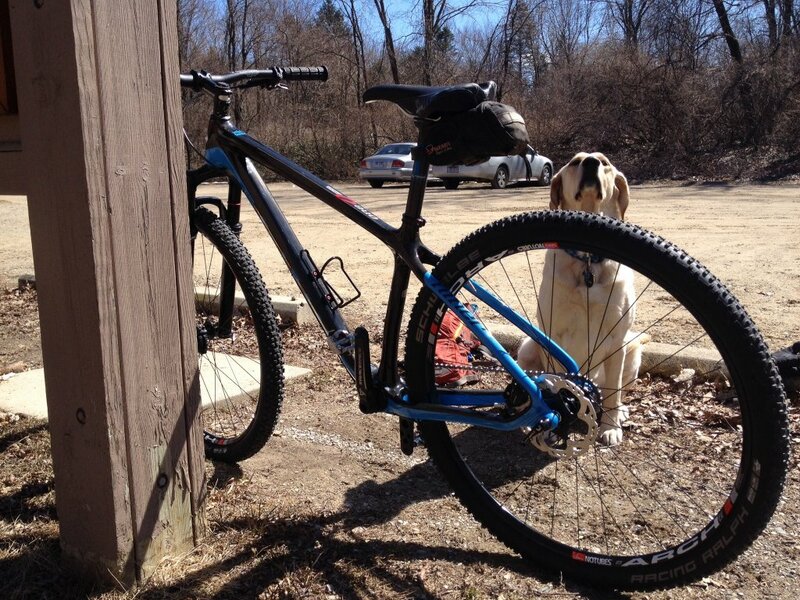 Somewhat close to a Niner 2-Star SS build but with a RockShox Reba 100MM. A race bike that will never be raced but will be my cross country bike, down hill bike, trail bike, road bike and around-the-block-with-my-10-year-old bike. I hope to ride/beat the h$ll out of it. 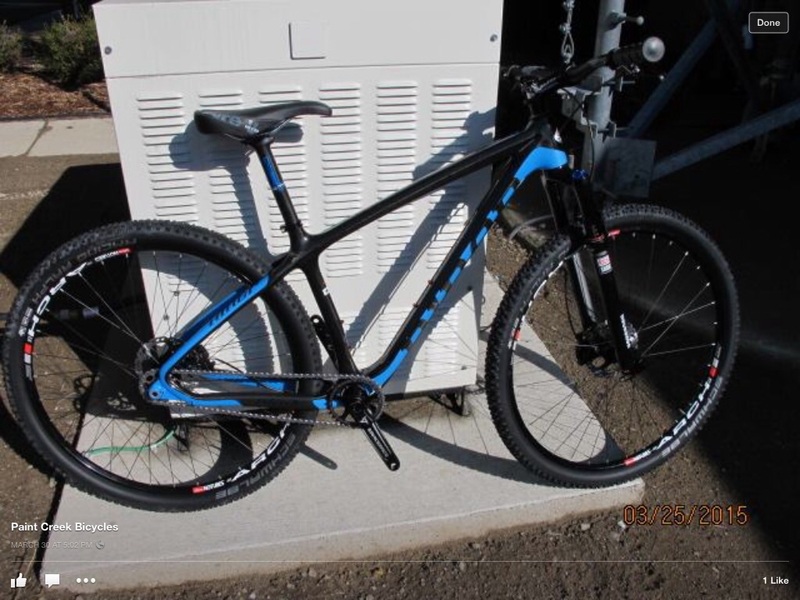 Will report back throughout the summer with insights if upgrading from a 2011 Specialized Stumpy SS was worth re-mortgaging the house. 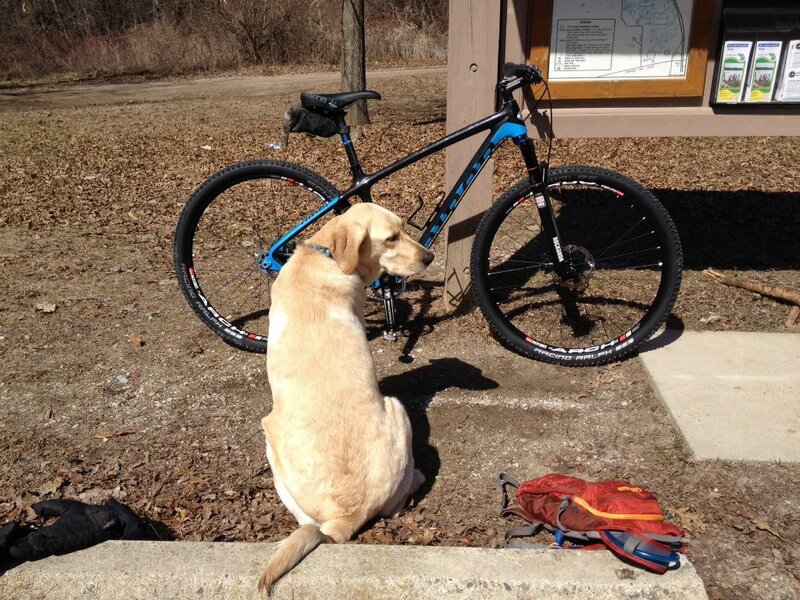 Pic: April 2015 / Trail: Holly, Michigan East Loop (mmba.org) / Dog: Lucky Creature (3-yr old Lab - she made all #16 miles). Nice looking ride. I love bringing my dog along for rides as well. I'm having thoughts of upgrading from a scandium one9 to the carbon. How's the stiffness in the head tube? Any other thoughts? Looks great! I love labs too. Fantastic dogs. I have the yellow version and love it. I used to live in southeast MI, I mostly rode pontiac, poto, and maybury.